A sweet, plush place for your baby girl to play and learn. 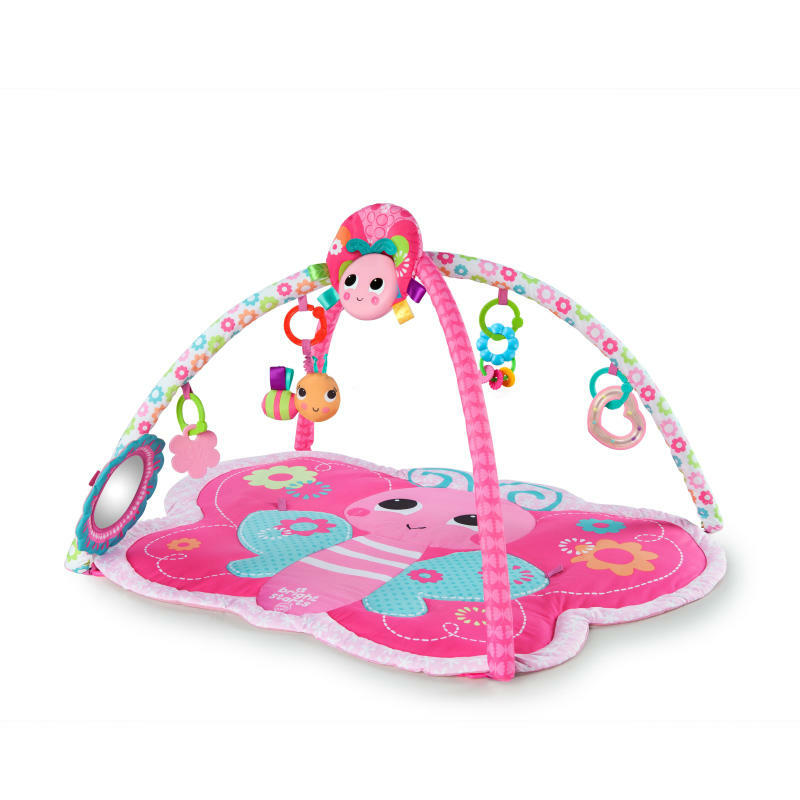 The Bright Butterfly Activity Gym from Bright Starts™ features a plush butterfly-shaped mat cushion for a softer play time or tummy time experience. The lady bug plays over 15 minutes of cheerful melodies. A plush butterfly toy makes fun chiming sounds and adds to baby's tactile adventure with signature Taggies™ satin tags. There's so much for little hands to bat and explore including a baby-safe mirror for self-discovery, heart-shaped ring rattle, bead chaser and more. Dimension (in) 28" x 36" x 19"